UC Browser app has been rated average 4.5 stars out of 5 stars by 5 million + users. It has been installed in over 100 million android devices all over the world. It is small 15.96 mb size to download and install the app. Are You tired of Slow page-loading? Are live streaming videos loading slower in your Android Smartphone? 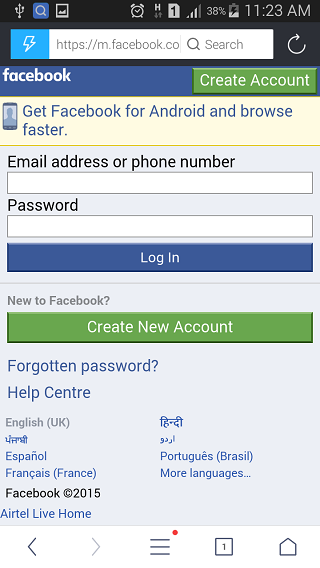 Do You want accessing Facebook faster? You are fed up by multiple apps for individual services? To solve this problem you need to install UC Browser for Android. It is first screen to see how it will look like at home page of the browser app. It will show you some shortcut style apps to browse different services in a single click. You can see all services in below screenshot. It is awesome if you are cricket lover, game lover, video streaming lover and shopping lover. 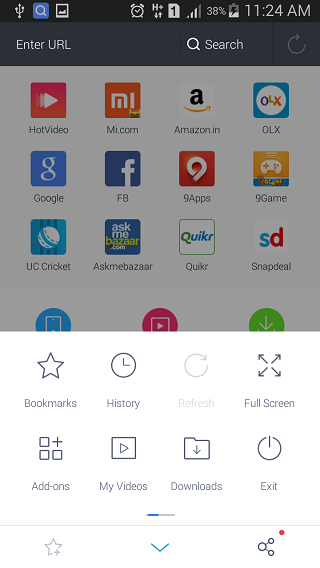 Navigation in UC Browser App for Android let you do things easily with comfortable fitting on Smartphone Screen. It has features like bookmarks, history, refresh, full screen, add ons, my videos, downloads and exit. And you are already familiar with terms using all other browsers. 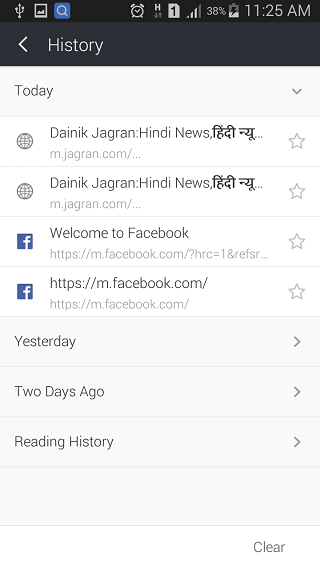 To have faster Facebook Browsing Experience you can connect UC browser to Facebook app. Next time it will let you access facebook faster than ever. You will be surprise to see how fast it works. 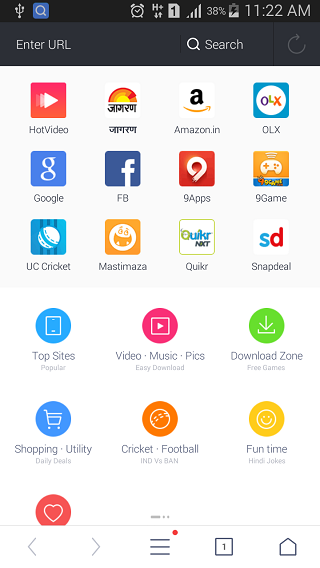 Here is overview of how UC Browser Video and other Download Manager features you will see on your Android Smartphone. 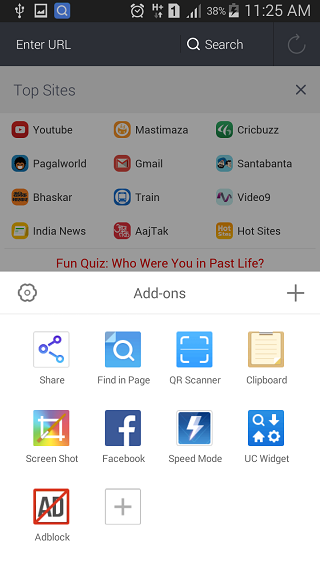 Using UC Browser Add on Features You can do many tasks like sharing, qr scanning, ad blocking etc. You can see overview of how it looks on Android Smartphone in below picture. UC Browser Browsing History Feature will provide you easy access to browsing history of internet pages. You can see an overview in below picture.